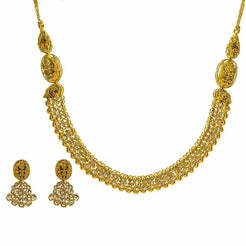 0.64CT Diamond Quatrefoil Pendant Necklace & Earrings Set in 18K Yellow Gold for women. Set features quatrefoil circles designed to resemble a flower. 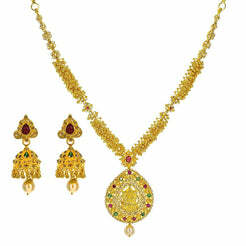 Flower frame set with sparkling diamonds. Earrings have screw post backs. Weight is 4.7 grams. 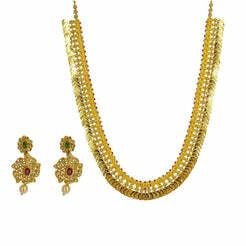 Occasion or everyday wear jewelry set.